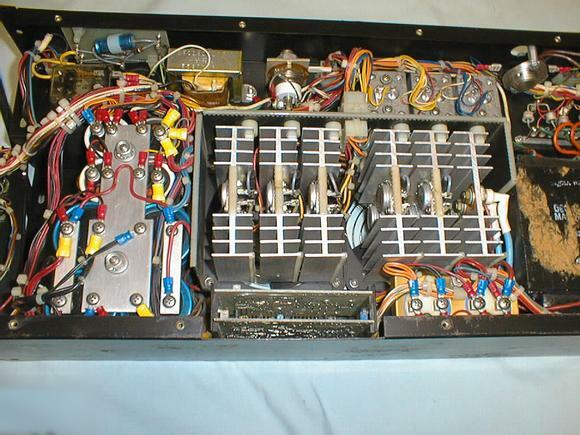 This is a close up of the middle section of the h724 power supply. At the top center is the silicon controlled rectifier (SCR) used to short out the output of the +5VDC supply if the output voltage goes too high. This was done to prevent the boards being damaged if the voltage regulator fails.